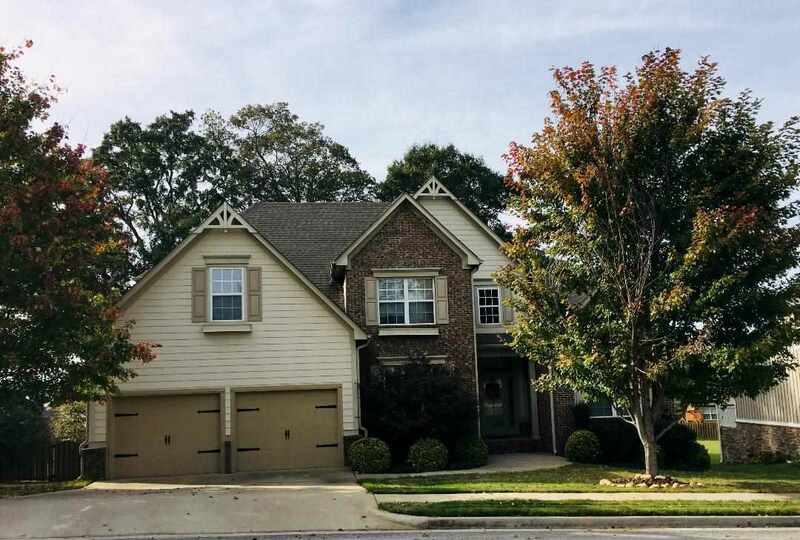 Five bedroom home, 2 minutes from Redstone Arsenal gate 7, on almost half an acre. Wonderful community amenities and large fenced backyard. Hardwood and tile on main level. Family room and hearth room with gas fireplace. Formal dining and breakfast area. Kitchen with granite, SS appliances and island. Master and additional bedroom on main level. Three bedrooms with loft upstairs. Three full baths. Covered back porch, uncovered lower deck, privacy fence and mature trees in the back yard. Community lake within view of the front yard great for taking an evening stroll or walking the dog. Washer, dryer, and frig remains at no value. Tons of extra storage in walk-in attic.